Everyone loves getting free swag, particularly if it is unique and useful. Fundraisers are an essential way for organizations to raise money for their cause, and swag bags are critical to getting donors to the table and interested in your event. While people attending a fundraiser know they are expected to donate, you can build long-lasting goodwill with your donors by giving them a memorable and useful swag bag that will leave them feeling great about your organization. Let’s start with the swag bag itself. A decorated paper bag can be aesthetically pleasing, but the bag has no purpose and will get tossed into the recycling bin once it gets home. Instead, try a reusable bag. 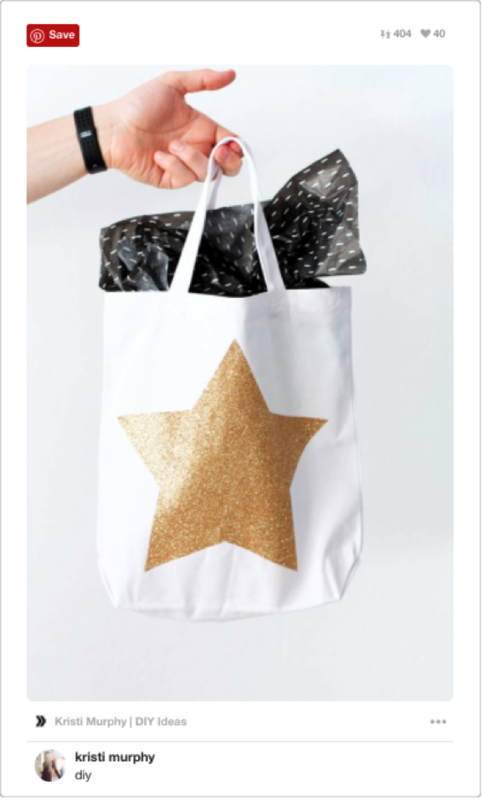 Depending on the size of your fundraiser and budget, you can create a DIY bag (like the image belw) or a have a custom-printed bag created. If you wanted to go in a different direction, you can also ditch the bag altogether and go with a box. A unique presentation of a gift is always memorable. When you are designing your bag (or box), aesthetics should come first and branding second. Ask yourself if the design is one you would want to carry around all day. People are hesitant to carry a gaudy branded bag, so start with the design of the bag, then add your logo in a location that is subtle, yet still effective. Once you have decided on the packaging, you need to focus on what is going to go inside the bag. Donors always appreciate gifts that are functional and fun. People are focused on using water bottles environmentally friendly and fashionable. You can upload your brand or logo to drop the perfect custom-plastic water bottles into your swag bags. Just as with the design of the swag bag, consider keeping your logo small, so your donors feel comfortable using the bottle throughout the day. Buying plastic water bottles in bulk is an affordable way to keep your fundraising goals in your donor’s mind, while also being practical and pleasing to the eye. Virtual is the new trend in swag bags. Virtual swag can take on many forms, including an invitation to a sponsor’s website to claim a gift, discounts, app downloads or a gift certificate to allow the recipient to donate to a charity of their choice. Here is an example of a virtual swag bag that attendees can access to obtain free gifts. Virtual swag bags are definitely a trend among fundraisers and tradeshow participants. SXSW recently dumped the physical bag and offered a digital bag with music downloads, MOO cards and service discounts. Fundraiser attendees get hungry. Indulge your donors with snacks, preferably a little sweet and a little savory. Chocolates are guaranteed to be a big hit, but mix it up with a treat with a twist. 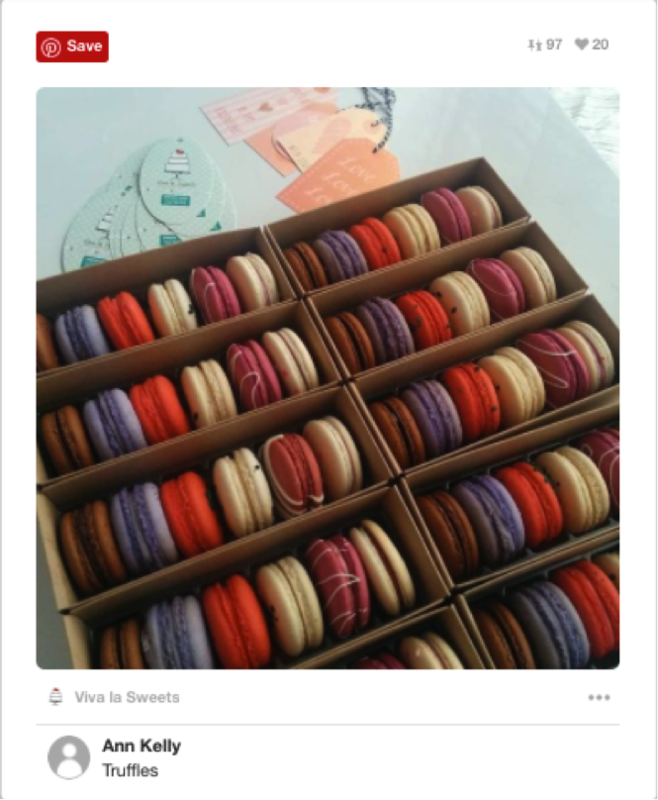 A slim package of delicious macarons would leave your attendees’ mouths watering for more. Savory treat ideas include a small bag of almonds, crackers and pretzels. Remember the packaging on each of these items is an opportunity to get your fundraising needs into the hands of your donors. People often attach memories to their food. With a quality snack in your swag bag, your donor may connect the delicious taste of that food to your organization, leading your donor to want to help you fundraise. Give the gift of inspiration. Helping your donors feel cared for and appreciated will come back to you as goodwill (and maybe a donation!). Ideas include a membership to Luminosity, a subscription to a monthly box that fits within your organization’s theme or brand, or a journal with encouraging motivational prompts about growth and happiness. Digital gadgets are everywhere, and they all need accessories. USB flash drives are a standard digital item to find in a swag bag and can be an effortless way to include your brand on the product. From kooky to serious, you can design and order a USB flash drive in the shape of daily life items like an acorn, pineapple or the Eiffel Tower. Put a twist on the traditional pen (that no one actually wants) and include a USB stick that is disguised as a pen. These USB stick pens are a creative nod to the shift into the digital information age. Other innovative digital accessories you can include that will take your swag bag to the next level are stickers designed to go on the phone charger cubes. These stickers take an ordinary phone charger to a more customized look that your donors will appreciate. When it comes to including clothing in your swag bag, focus on quality and design. T-shirts, sweatshirts, hats and socks are all sought-after items in swag bags. Instead of throwing your logo on a cheap t-shirt and calling it a day, consider the purpose of your fundraiser and tailor your clothing item to that cause. Are you raising money for the homeless? Then include a warm hat in your bag as a reminder of the perils the homeless face when they are forced to sleep outside in the winter. Are you raising funds to build a playground? Then include a technical T-shirt that people will wear while exercising. A well-cut performance T-shirt can be worn for years, each time with your brand and fundraising cause on display. Tying your fundraiser’s theme to the clothing item that you include in your bag will help you keep your fundraising goals in your donor’s mind well after the night of your event. If you have the budget, consider adding a high-ticket item in your swag bag. Examples include a watch, iPhone, tablet or electronic reader. These items may stretch your budget, but they can become a terrific way to get people involved and enthusiastic about your cause. You can sell raffle tickets for the items and use the funds to donate toward your fundraising goal. A swag bag is not just a gift. It is an opportunity for you to keep your organization’s name and fundraising goal in the forefront of your attendees’ minds long after they leave your event. As you determine what items to put into your swag bag, consider what your donors want, but are not going to spend their money to purchase. Whether you choose one or all the suggestions we have given you, remember to be thoughtful and creative in what you include. Sam Momin is the founder of Custom Water Bottle and handles outreach and sales for the company. Sam oversees orders and customer service, while constantly managing and updating the website from the Houston, Tx. She enjoys spending time with her family and friends, going to the gym, and keeping up with a healthy lifestyle—despite the occasional binge sessions she has with food and Netflix.